There has been such a massive increase in interest in solid-fuel stoves, that it is time for me to review the few pointers that I am aware of regarding what to look for, and what to avoid in a stove. Most stoves sold in Ireland are made in cast iron. Only a very few are made in steel or in stainless steel, so I will not bother looking in this direction. So for a start let us take a look at the material of stoves itself, in this case Cast-Iron. Above you see a small section of the external cast iron casing of a, three year in use, stove. 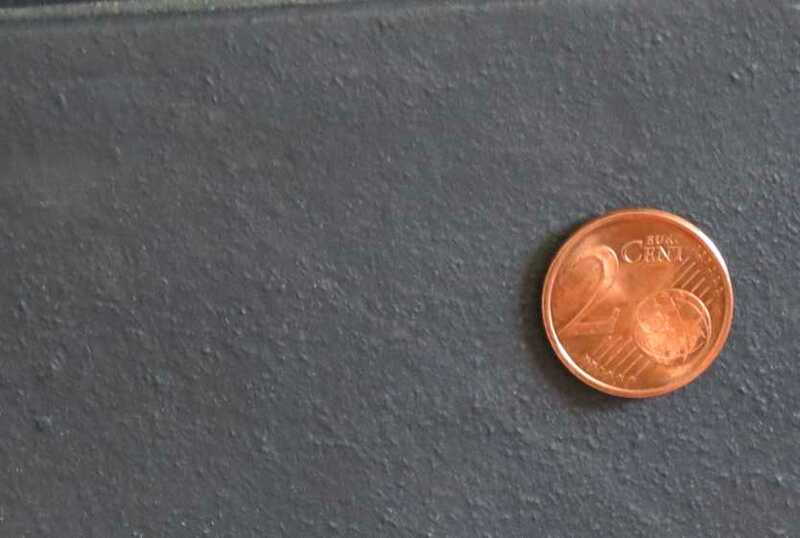 The coin is only for perspective. Take a close look at the texture of the casting. What do you observe? 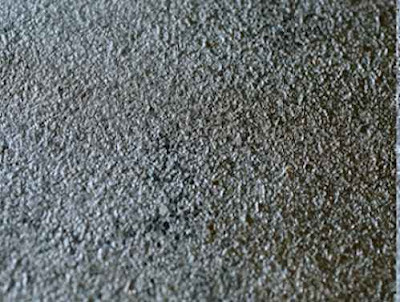 It looks like a painted surface, but it isn't painted, it is naturally smooth and fine grained, and has not got major sandy texture or more importantly - little holes or pits. By way of contrast, have a look at the above picture, and ask yourself which of the two examples do you think is the better quality of casting? In the above very rough textured casting, you should be able to see some pitting. The grain itself is like the surface of a child's sand castle. 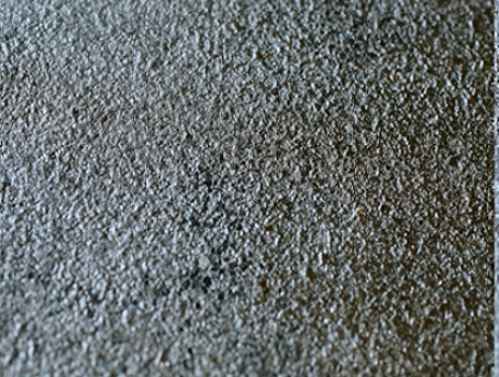 This very rough grain and the associated pitting effect, are some of the factors that can lead to damage, such as cracking, distortion, and burning away, in a stove. Other factors that can affect the life of the metal of a stove, such as the actual basic material and chemical make-up of the cast iron, you will not be able to see. Regarding the composition of metal, the grates and the baffles should ideally have a chromium content upwards of 12%. Too much chromium will make the metal brittle but with the right amount, it will make it resistant to oxidising, that is distorting and slowly burning away. The vast majority of the problems with stoves, excluding poor design, are associated with the quality of the cast iron that makes up most of the stove. This is especially true of the parts of a stove that come into direct contact with the fire. Grates and baffles are the most obvious parts that are vulnerable to fire damage. However, some stoves of dubious manufacture, have been known to literally split at the seams. So be warned when shopping for a bargain stove. If you buy a trusted brand name from a trusted retailer, you have at least two lines of come-back in the event of failure. Look for a good thick and smooth quality of cast iron. Very rough, pitted, or very thin castings are going to lead to problems. This is part one. I will revisit the subject over the next couple of weeks.